The gist: Hollywood star Johnny Blake sweeps a small-town wedding planner off her feet -- think Johnny Bravo, but live action and less creepy. 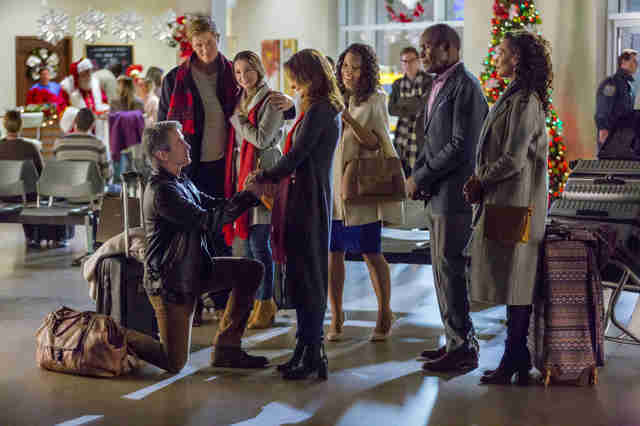 The gist: A lawyer who's obsessed with ice-sculpting falls in love while fighting for the right to sculpt some freakin' ice. The gist: A very special Christmas fir spurs a romance between a D.C. tree hunter and a quaint farmer. Can't stress enough how special this tree is. 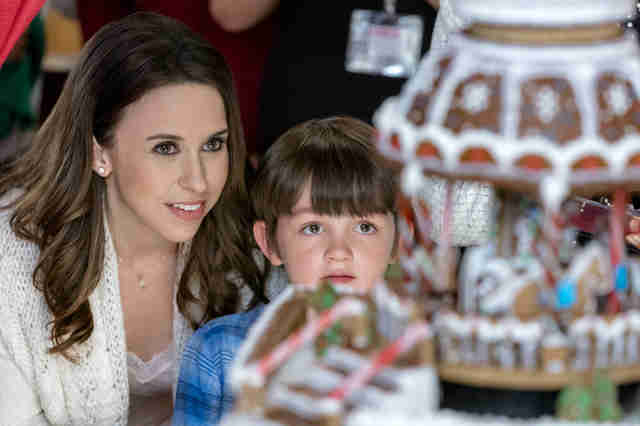 ​​​​​​​The gist: A struggling pastry chef must choose between falling in love and winning a gingerbread (!!!) competition. ​​​​​​​The gist: ​​​​​​​An interior designer reconnects with her high school sweetheart-slash-former salsa dance partner in this New Mexico-set love story. The gist: While helping a wealthy family sell their home, Allie Richfield finds herself mending feuds and navigating a love triangle. ​​​​​​​The gist: A bookshop owner crashes her bike into a stranger, sending him into a coma that leaves him without his memory. What happens when he wakes up? DATES, and we're not referring to the fruit. ​​​​​​​The gist: A Secret Santa mix-up sends one ad exec fighting to win the heart of her office crush. ​​​​​​​The gist: ​​​​​​​Based on the Richard Paul Evans book of the same name, a very meta story about an aspiring romance novelist who finds love at a writers' retreat. The gist: A Christmas parade organizer goes on a hunt for a new Santa impersonator and -- you guessed it -- love. The gist: An adaptation of the popular David Baldacci novel, in which a disillusioned journalist, traveling cross-country for the holidays, earns a second shot at happiness. ​​​​​​​The gist: The Fuller House actress will do her best Parent Trap, playing identical twins who swap lives until Christmas day. ​​​​​​​The gist: In Evergreen, Vermont, the town veterinarian wishes upon a magic snow globe for true love. The wish comes true... but not with her longtime beau. ​​​​​​​The gist: A lodge owner meets "an unforgettable family, and her own life will be forever changed" -- keep your fingers crossed it's the Addams family. ​​​​​​​The gist: A Christmas story about an actress looking for a Christmas miracle while doing a doomed Off-Off-Broadway production of A Christmas Carol -- basically Inception, but Christmas. The gist: An ambitious real-estate developer thinks she can convince an old-fashioned shop owner to sell family's property -- but NUH-UH, not if the Spirit of Christmas can help it. ​​​​​​​The gist: A divorced CTO daddy gets laid off right before the holidays, a blessing in disguise that gives him a chance to reconnect with his children and hit on his kids' teachers. ​​​​​​​The gist: Because of a rental mix-up, a newly single travel writer spends the holidays with a widower and his family. Yikes is right. 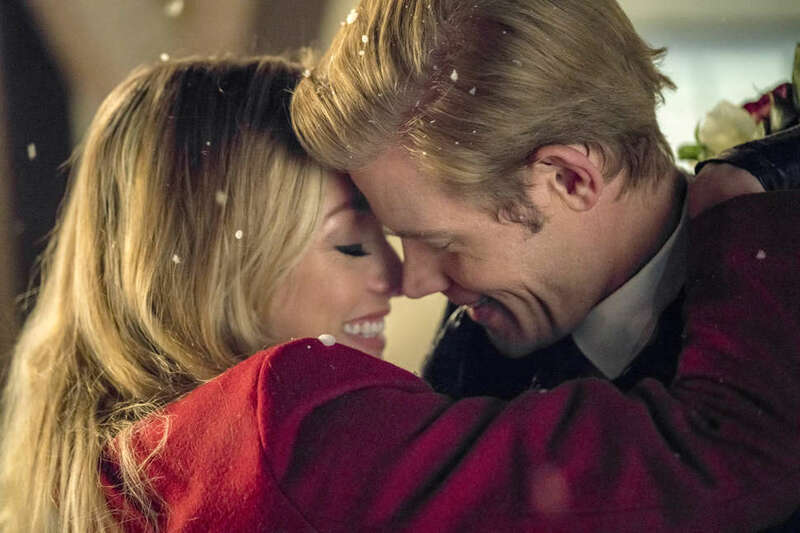 ​​​​​​​The gist: "A loved one returns, Christmas spirit is renewed, and children's wishes are granted in this heartwarming Christmas movie featuring the series' beloved characters" -- in other words: This is a cinnamon roll in movie form. ​​​​​​​The gist: A lifestyle photographer tells her new coworker she's never kissed anyone at midnight -- you won't believe what happens next.